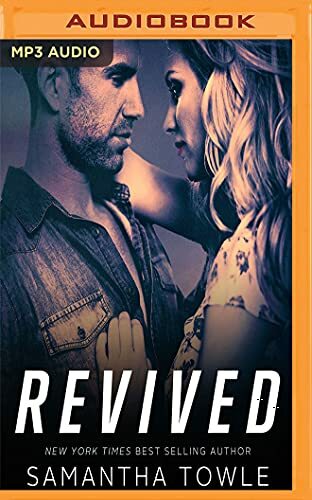 Revived is a standalone, contemporary romance novel from the New York Times, Wall Street Journal, and USA Today best-selling author of Revved. At the top of his game as a Formula One driver, Leandro Silva had everything - until an accident on the track left him staring death in the face. After enduring 12 months of physical therapy, Leandro is now physically able to race, but his mind is keeping him from the track. Frustrated and angry, Leandro's days and nights are filled with limitless alcohol and faceless women. Entering the last year of his contract, he knows he has to race again, or he'll lose everything he spent his life working for. Forced into therapy to get his life back, Leandro finds himself in the office of Dr. India Harris. Falling for his uptight therapist is not part of Leandro's plan. Having unethical feelings for her patient, the angry Brazilian race car driver, is not part of India's plan. But what if the wrong person is the only person who is right? Revived follows a character that was previously introduced in the novel Revved, but you do not need to listen to Revved beforehand, as Revived is its own story and is a complete standalone novel. New York Times, USA Today, Wall Street Journal and international bestselling author Samantha Towle began her first novel in 2008 while on maternity leave. She completed the manuscript five months later and hasn't stopped writing since. She has written contemporary romances, THE MIGHTY STORM, WETHERING THE STORM, TAMING THE STORM, TROUBLE, REVVED & REVIVED. She has also written paranormal romances, THE BRINGER and the ALEXANDRA JONES SERIES, all penned to tunes of The Killers, Kings of Leon, Adele, The Doors, Oasis, Fleetwood Mac, and more of her favourite musicians. A native of Hull and a graduate of Salford University, she lives with her husband, Craig, in East Yorkshire with their son and daughter.